Looking for free templates for Microsoft Word? While our collection is small, what you will find is professional. It turns out that you can't solve all the world's problems using Excel, so below are the templates that we have created for Word, including resumes, bill of sale forms, agendas, business cards, and more. Enjoy. Create and print an invoice using Word. This is a basic design especially for service-oriented companies. - Professionally designed Vehicle Bill of Sale template. - Find printable Car Bill of Sale forms from your state DMV. Resume Templates - Two standard formats that work for nearly any type of resume. CV Templates - For grants, science and academic positions. 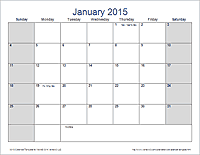 A printable monthly calendar template for Microsoft Word. Includes 12 months on separate pages. Write a formal or casual memorandum using one of our templates. Includes information about how to write a memo. 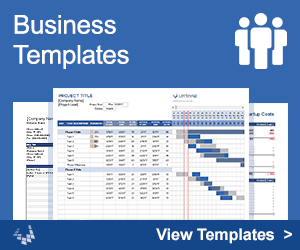 Sample meeting agenda templates for business meetings, team meetings, PTA meetings, committee meetings, etc. Professionally designed business card templates that work for the most common Avery, Staples, and Office Max business card products. Print your recipes on 4x6 or 3x5 index cards, regular paper, or card stock, using these free recipe card templates for Word. Print your own graph paper. Various grid sizes and formats. Record detailed meeting minutes using a table-based format in Microsoft Word. Customize a field trip permission form to send home to parents, including a cutaway section for emergency contact and signature. Create a printable travel itinerary easily using the Word version of this template. An outline for a college-level course syllabus. Create printable gift certificate templates for Christmas, birthdays, and other occasions. Download and edit a sample rental agreement template then have an attorney review it. Download a sample non-disclosure agreement, customize, then have an attorney review it. 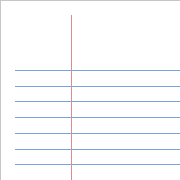 Print your own lined paper: college, wide or narrow ruled. Customize a printable donation form for your organization to send to potential donors. Although originally created for Excel, the following templates can now be downloaded as Word documents as well. You will find the links to the Word versions usually under "Other Versions" or below the download for Excel. 16 Quick Document Editing and Review Tricks in Word at YouTube.com - This is a great how-to video created by Rishabh of YodaLearning.com showing various shortcuts and tricks in Word using the Vertex42 Bill of Sale template as an example. templates.office.com - This is Microsoft's gallery of templates for Word. You can find even more by opening Word and going to File > New and searching. dotxes.com - A brand new website (as of March 2014) dedicated to providing Word Templates.